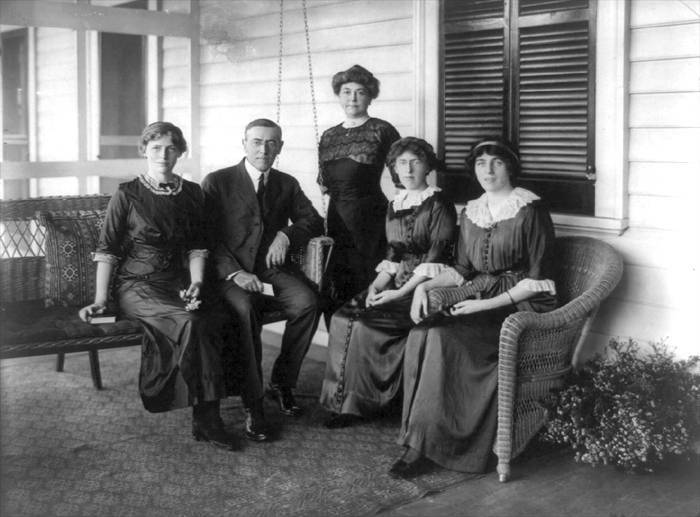 CREDIT: "Woodrow Wilson, seated posed on swing on porch, facing front, with his wife and three daughters." 1912. Prints and Photographs, Library of Congress.